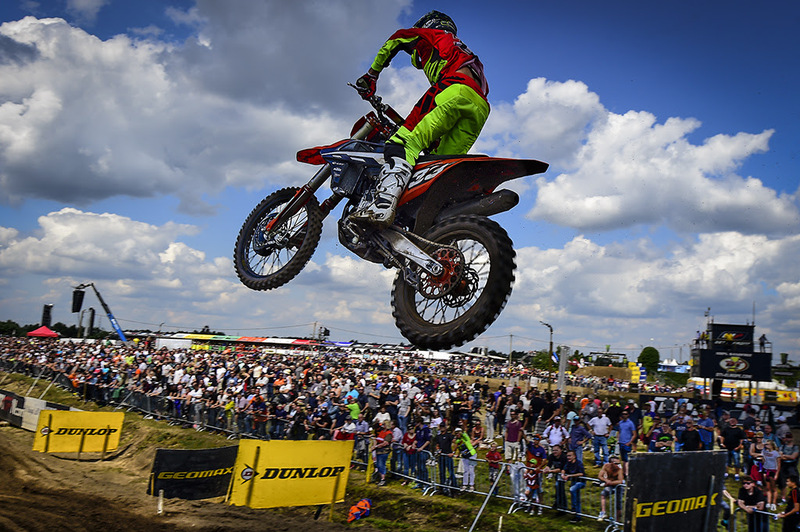 The 2017 Fiat Professional MXGP of Belgium finished in amazing fashion today! 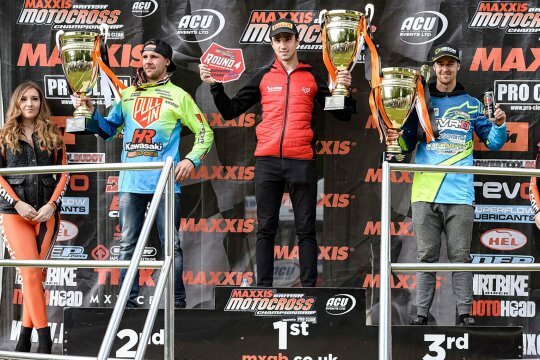 After a soggy Saturday, race today started with the sun shining as the best MXGP and MX2 riders took to the demanding sands of Lommel. 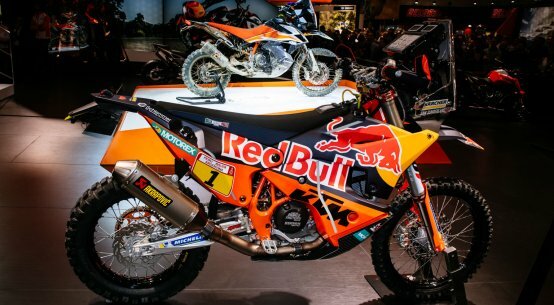 Focus, strength, and skill all combined into winning performances for Red Bull KTM Factory Racing’s Jeffrey Herlings and Red Bull KTM Factory Racing’s Jorge Prado Garcia. 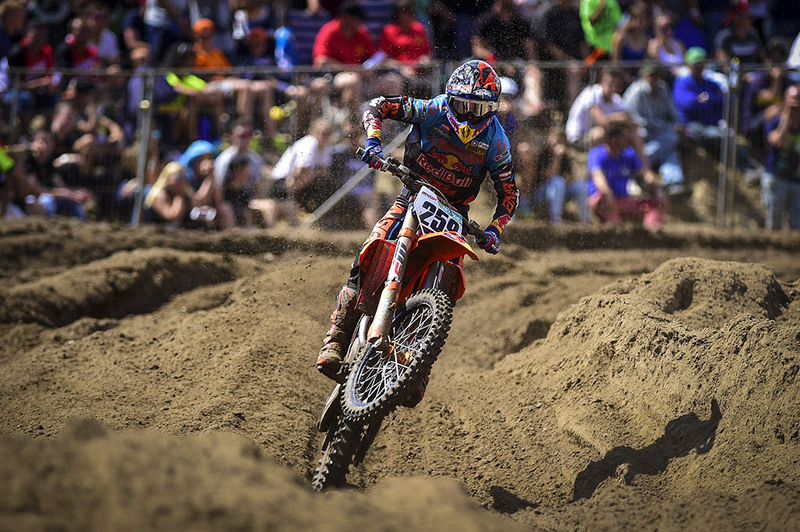 Coldenhoff led the his fellow countryman while Cairoli gave chase to the two dutch riders. 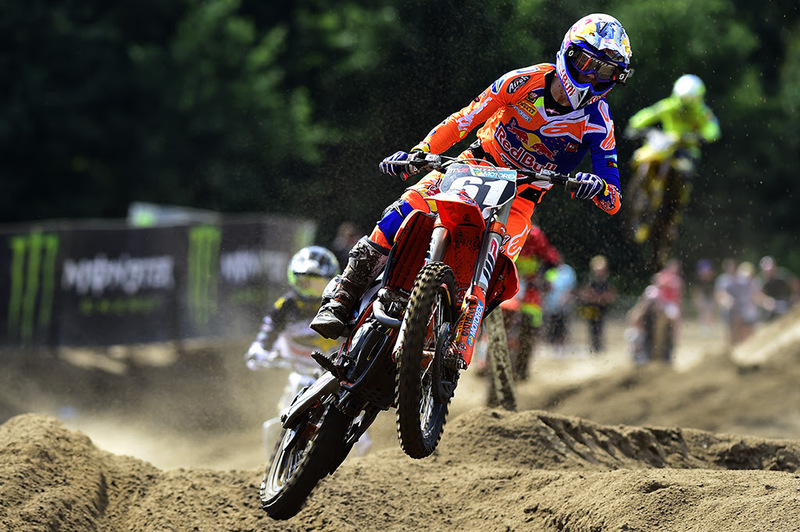 Coldenhoff managed to hold his own against the man know as the sand master, Herlings, for the first laps. 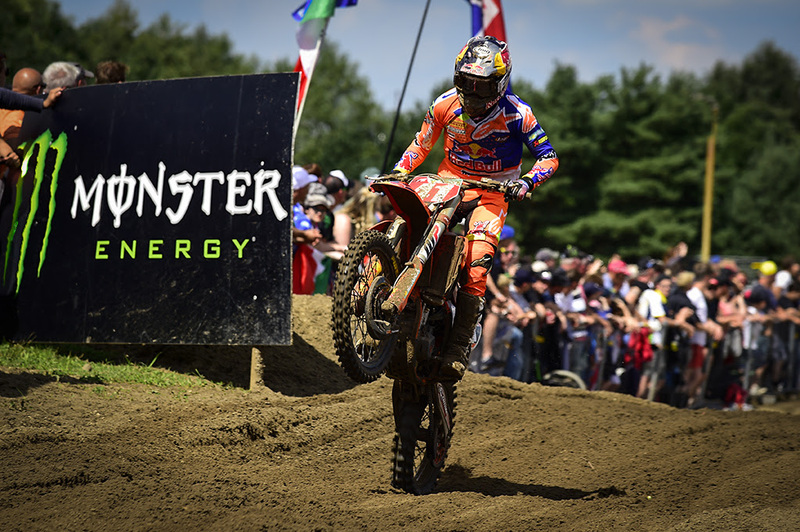 It was on lap 6 that Herlings found his way by and looked to check out from Cairoli and the rest. 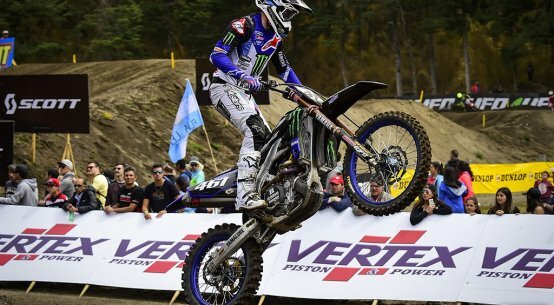 As Coldenhoff took third it looked as if Monster Energy Yamaha Factory MXGP Team’s Romain Febvrewould take fourth but the french rider fell on the last lap which gave his teammate Jeremy Van Horebeek the position. 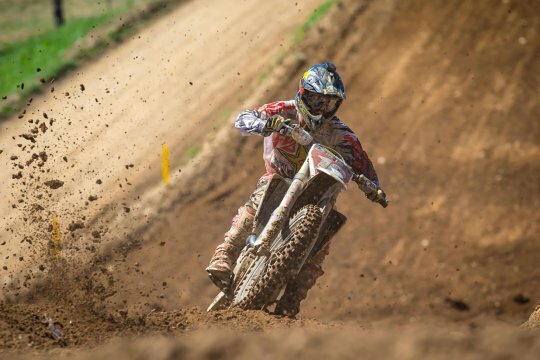 Finishing out the race 1 top 5 was Rockstar Energy Husqvarna Factory Racing’s Max Nagl.